Spicy, with just the right amount of “heat”, this sausage combines the perfect blending of herbs and seasonings to create flavors that are deep and complex. Using only select cuts of USDA inspected pork, our Hot Smoked Sausage is exceptionally tender and juicy and made without the use of fillers – it’s been our #1 bestseller for nearly a century. A staple in a number of European cuisines, our Polish Sausage is augmented by a family recipe of spices and herbs to provide its own unique flavor. Our plump and savory Polish Sausage bursts with flavor in every bite. Traditionally sliced and boiled and served with sauerkraut and various mustards, Polish Sausage is also great for grilling with onions and served with rye bread. 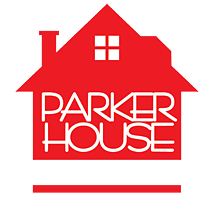 Parker House Polish Sausage represents a blending of cultures which migrated to Chicago in the early twentieth century and we believe we’ve incorporated the best qualities from each into preparation and presentation of our product. The origins of Headcheese, and subsequently Souse, date back to the earliest times of meat production and preparation in France, Germany, England, and later, America. Before supermarkets and grocery chains, people sought creative means to produce nutritious and practical meals from available livestock sources. One result was Headcheese which is high in protein and simple to combine with other products. Our Hot Headcheese improves on this standard dish by combining the product with a combination of tangy spices and herbs to provide a one-of-a-kind taste experience. Traditional Headcheese is popularly served with a splash of vinegar and onions, so what would be more natural than to combine a special recipe of herbs, spices, and vinegar into a prepared product. Parker House Sagey Souse has done just that and made it available in 10 lb. bulk or convenient pre-sliced packages. Our Sagey Souse can be served as a standalone meal, hot or cold, or to supplement any dish such as hash brown potatoes and eggs for breakfast or selected cheeses and crackers for lunch and dinner. Remember, Parker House Sagey Souse introduces a special earthy flavor when combined with many of your favorite recipes. Our spicy, juicy, Chicken Hot Links are made from 100% USDA inspected chicken – no pork or beef casing is ever used! Prepared using only premium cuts of minimally processed all natural chicken along with select herbs and spices – you’ll find that our Chicken Hot Links are every bit as delicious as our pork varieties. Our savory, super-flavorful, Chicken Polish Sausages are made from 100% USDA inspected chicken – no pork or beef casing is ever used! We prepare our Chicken Polish using premium cuts of minimally processed all natural chicken along with the perfect blending of select herbs and spices.